Przybylski: So far.. so good but is to early to say...A Christmas Song „Once a Year“ (on of the twelwe tracks from the album „Faith“ hawe a lot great reviews. 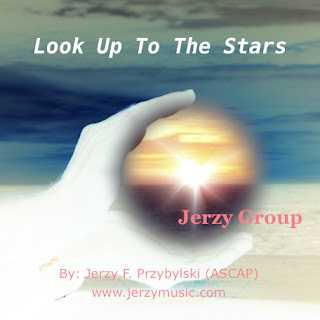 Przybylski: S J M choose the title „Faith“ and I did pick up the title „Look Up To The Stars“..one night the sky was clear and many Stars when I was watching that title come to my head. Przybylski: It has to be „I’m Waiting for You“...the music track of that song was done in Nashville TN and singer from China sung it. Przybylski: I always admire Czeslaw Niemen from Poland, Jimi Hendrix and Queen. Przybylski: I think it is harder than ever ...and it will stay that way. Przybylski: There is nothing better than write a lyric and compose music, put them together... and if people like ...make me very happy person.